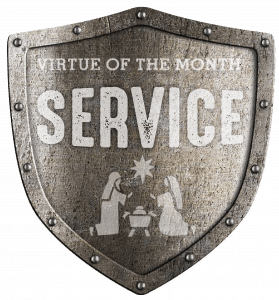 The virtue of the month for Conquest and Challenge in December is service. Service a virtue that is very easy to understand and explain, but not always as easy to live. Jesus showed us the true example of service at the Last Supper when he washed his apostles’ feet. Christmas is a time when we remember Jesus’ great act of service – when he became man born in a stable. 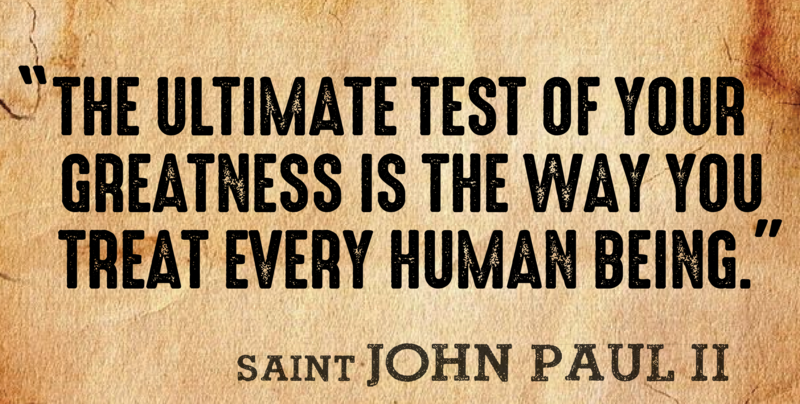 There were no limits to what he would do to serve others. It takes humility to serve others because you are putting another person’s feelings and needs before your own. Selfishness and service do not work well together. 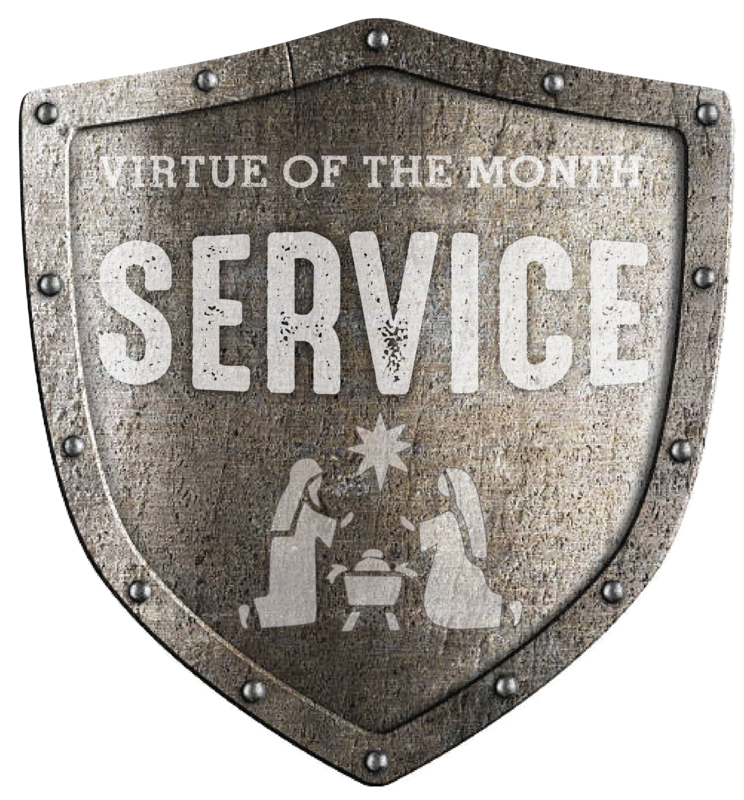 Some people may not think of service as a virtue, instead they may see it more as a duty some people have or something they are entitled to. “I demand good customer service.” We are talking about a different type of service- one that does not have a price tag attached to it. We are talking about Christian service, the kind Jesus lived. Jesus did not have to wash his disciples’ feet. 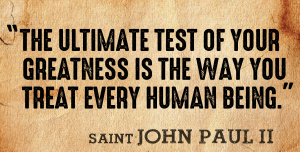 He did not have to cure people or feed the five thousand. He was not repaid and sometimes he did not even receive a simple “thank you”, like when he cured the 10 lepers. Jesus came to this earth to redeem us and show us how to live. As Christians, we are to follow in his footsteps and serve others freely simply because they are fellow human beings, in need to love and care.